All plants pull their food from the soil. Minerals and nutrients are pulled up from the roots and fuel the growth of the plant, and lead to bigger, healthier flowers. A few simple experiments can give you an idea what kind of shape your soil is in and what you need to do to improve it. The first test is the mason jar test, which will help you determine the composition of your dirt. Simply shovel about four inches of dirt into a glass jar then fill the rest of the jar with water. Shake the jar to thoroughly mix, then set the jar aside and let it settle for a day. The jar should settle in layers based on the types of soil, with sand at the bottom, silt on the next layer, then clay, and organic material. A good balance is about 45% sand, 25% each of silt and clay, and 5% of organic material. If your dirt is too sandy or has too much clay, your plant roots will struggle. To see how well it drains drains, dig a hole that is about a foot wide and a foot deep. Fill the hole with water and use a stop watch to time how long it takes for the water to completely drain from the hole. If the hole drains in less than two hours, your soil may drain too quickly and won’t give your plant roots enough time to soak up the nutrients in the water. But if it takes six hours or longer for the hole to drain, your soil is holding too much water and the roots could rot. Mixing in peat soil or other organic matter should help improve the soil’s drainage. 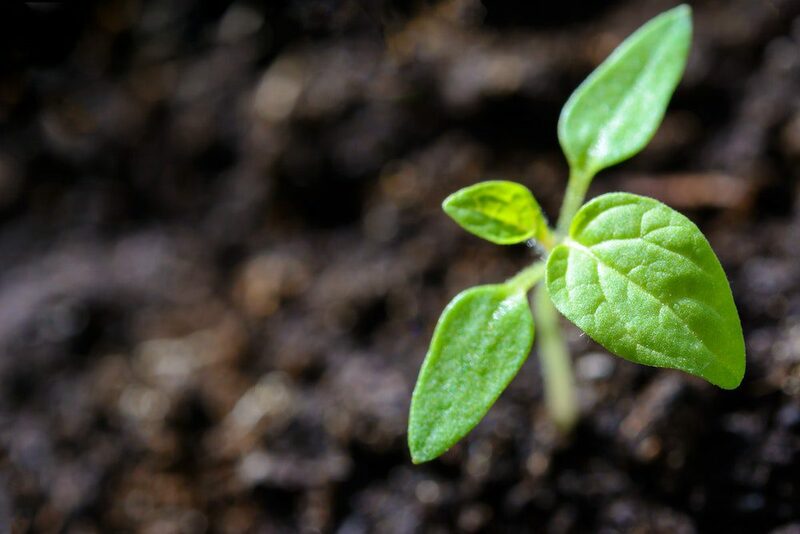 You can test to see if your soil is too compacted by pushing a long, stiff wire into your soil as far as it will go with a reasonable amount of force. If the wire extends down a foot or more, then the roots of your plants will be able to expand freely through the dirt. But if the wire stops less than a foot down, the soil may be so compacted that the roots have nowhere to grow. For compacted dirt, you may need to till it and add in compost. Lastly, get a handful of your dirt and squeeze it into a ball, like you are making a snowball. Observe how well it holds its shape and if it cracks apart easily. If it holds together in a tight ball, the soil may contain too much clay. If it doesn’t stay in a ball, it may be too dry and sandy. You will need to mix in compost to help create more balance. Once you know the make-up of the soil in your garden area, you can have a better understanding of what your plants need to grow and thrive. In most cases, the solution is simple…till in organic material like compost to change the composition of the dirt.